My Mind Is Made of Crumbs ($15, ISBN: 978-1-937536-55-8, Hardcover ISBN: 978-1-68114-143-5, LCCN: 2013922336, 6X9″, 100pp, December 2013, Purchase on Amazon): The poems in this collection were written over a period of nearly half a century. They look backward, observe the recent past and the present, and include subjects that have little reference to history and chronology because they apply to all of life. “Then,” “Now,” and “Whenever…” offer verbal pictures, autobiography, a bit of philosophy, and a little humor in varied forms. 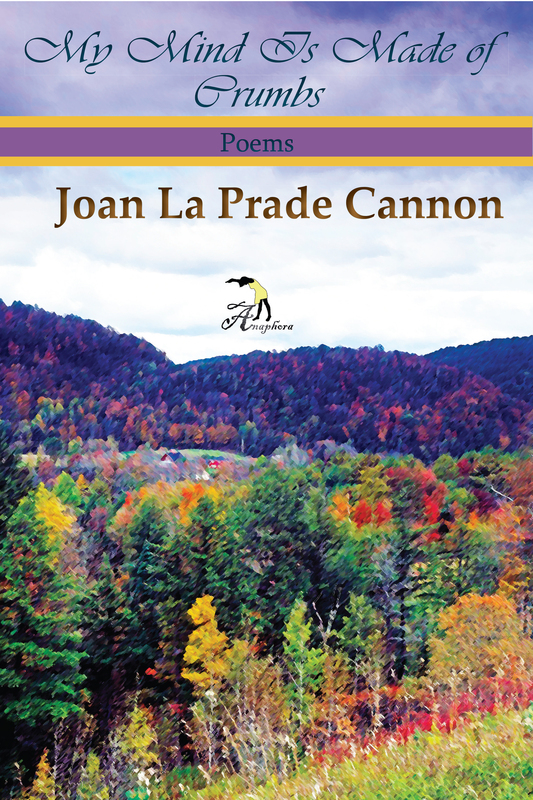 Joan La Prade Cannon is a native of Manhattan. After attending college in Minnesota, most of her adult life was spent in rural Connecticut with her husband, rearing their children in the country. She has been a secretary, a teacher, an editor, a retail manager. European travel and a year in England with her husband fueled her writing interests. She contributes essays and reviews to Senior Women Web. She lives now in the northwest corner of Connecticut near her children with her dog and cat. She is the author of two novels: Settling and Maiden Run and a collection of short stories called Peripheral Vision.